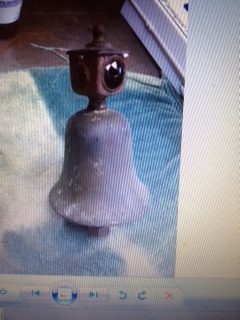 Any ideas on this bell? You didn't give us the size, nor is the "guts" picture detailed enough to see what's in there--it looks a bit like a mount to a bracket and an air or electric powered striker. 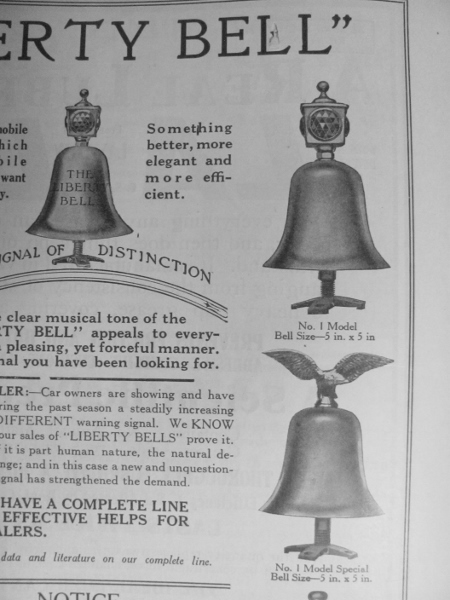 This type of bell (without the top lamp piece) was used on early Diesel locomotives. Such a bell would be about 18" in diameter (guess based on memory). Jim, I've had several of these through the years. 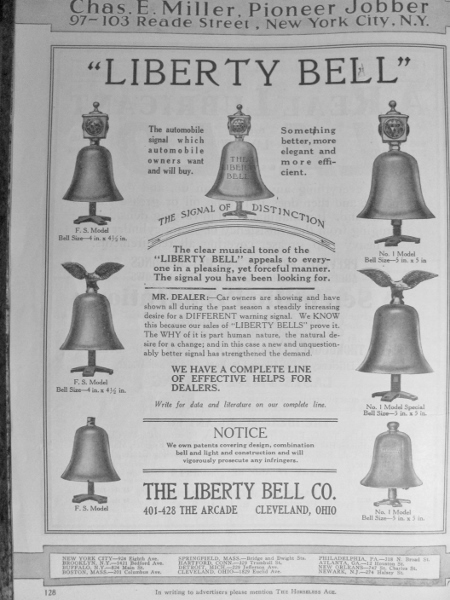 They were made by "The Liberty Bell Co." and are usually stamped on the outside of the bell around the middle section of it, you may have to clean it to see it. 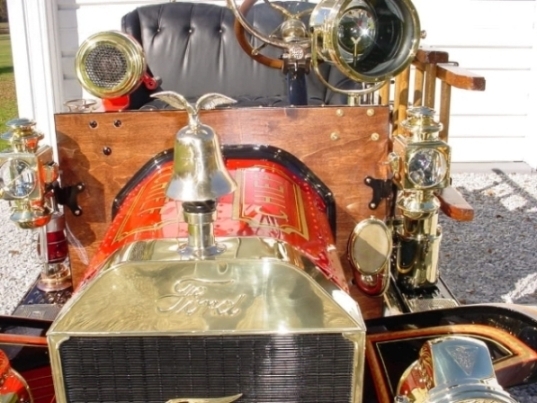 It will probably have a patent date of 1898. They were used in a variety of ways. I've seen them used on boats, door bells, and they are often adapted to radiator caps for fire chief's cars and fire trucks, etc. It will work off a 6 volt battery. There is a small one that I have see in period catalogs that mounted on the radiator cap. Here's one with the eagle instead of the 4 sided light, they came both ways. OK That's the mount not the clapper. If you decided to let it go I would love to make a deal with you. My dad had one many years ago and I always had a hankering to find one. I'm the other guy in Maltby with a model t.
If Jim is not interested in selling his, I have one I can part with. 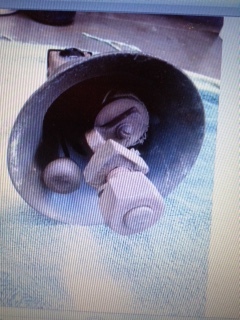 It can be attached to a radiator cap or fender mounted. I'm pretty sure I have an original fender mount for it also. Let me know and I can email you pictures and a price. Larry, if it is still up for grabs could you email me a couple pics and price? Send me a PM and we can go from there.